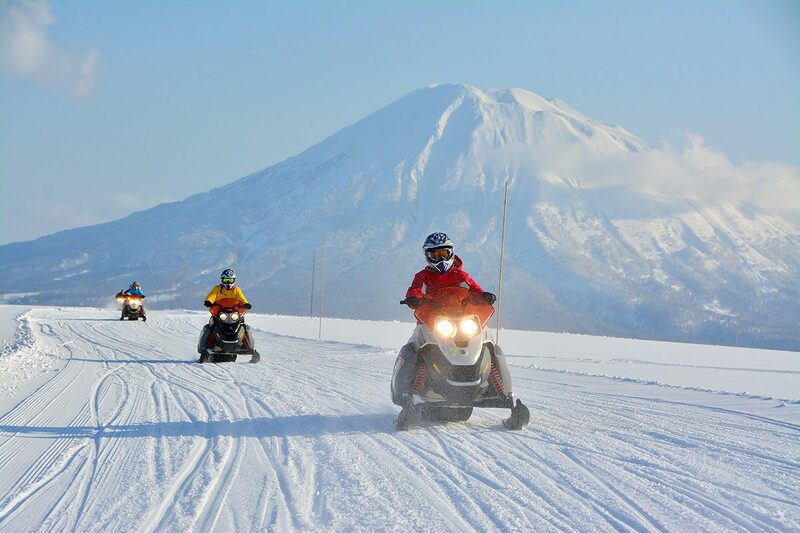 3 course of different length to choose from and experienced guides will lead you to lush forest to powder snow field. 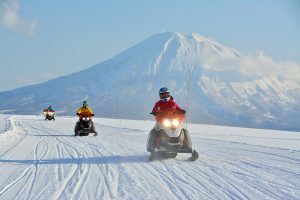 Drive a snowmobile by yourself! Group and Priovate Tours availabile, with a choice of single or tandem machines. Float through a lush forest of white birches inside the gold course that is closed during winter. Continue further to snow covered pastures with the breathtaking view of the surrounding area. Something different, back country areas of Hanazono, even to glance at the Sea of Japan on the other side of the mountains.